On Saturday 1 February a combination of gale force winds, coupled with a very high Spring tide resulted in the Lower Shannon River bursting its banks in various parts of Limerick city. This was Storm Brigid and although the major damage was caused on the Saturday night, the continuing storm weather over the following days hampered clean-up efforts. 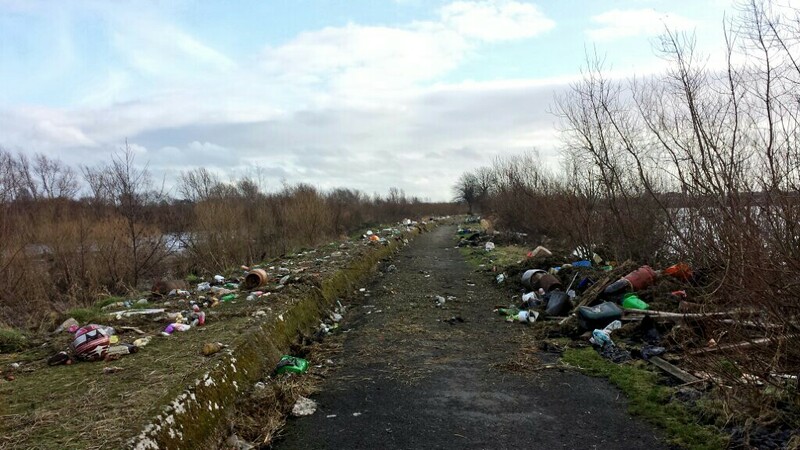 In the below image you can see some of the damage caused by the flood to the Limerick walk ways. Over the next few week volunteers from many organisations will be out in force to help with the clean up when it is safe to do so. Before any clean-up begins care should be taken to check for the presence of rodents in the dwelling. Seal all openings into the dwelling to prevent further entry of rodents. Wash and sanitise surfaces that may have been contaminated. Always assume flood water is contaminated. Wear suitable protective clothing: (waterproof boots, plastic or rubber gloves and other protective clothing, face masks etc. ), if needed to avoid contact with flood water. Do not underestimate the depth of water as road surfaces or manhole covers may be damaged. Avoid contact with flood water if possible. If you have to walk through a flood water do not contaminate an unflooded part of your home. Destroy any food that has come into contact with flood water. Do not let children play in flood water. Consider disposal of toys that have come into contact with flood water. Personal hygiene and particularly hand hygiene is extremely important in a flood area. If you have any cuts or grazes cover them with a plaster. Only come into contact with flood water where unavoidable or necessary and for the shortest period of time. Avoid river banks and areas under water which may be damaged. Keep electrical cables out of water. Take the advice of the emergency services throughout the flooding period. More than just Luck brought Lucky Lane’s Award!